Xerox Phaser 3052 is a compaq printer design with productivity and reliability. In fact, the ultra-compact Phaser 3052 Printer delivers the fast printing, total reliability and space-saving convenience today’s individuals and small work teams depend on. 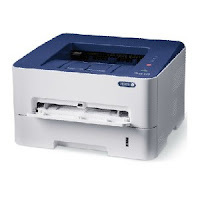 The Xerox Phaser 3052 also features Print speed: up to 26 ppm, duty cycle: Up to 30.000 images/month, Processor speed: 600 MHz, Print memory (standard): 256 MB, Connectivity: 10/100BaseT Ethernet, and High-Speed USB 2.0.